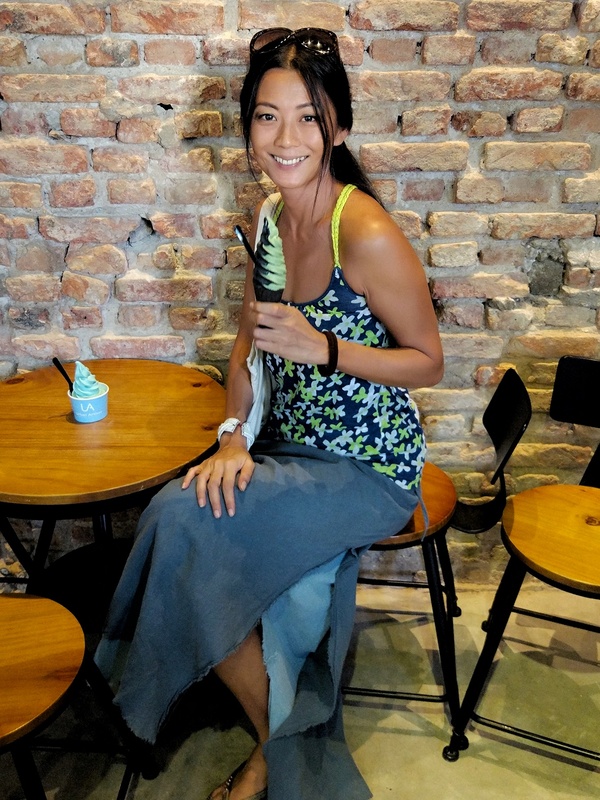 We at Penang local are in search of Penang’s best soft serve. It’s a tough job but someone’s got to do it… Tell us your favourite so we can go check it out. 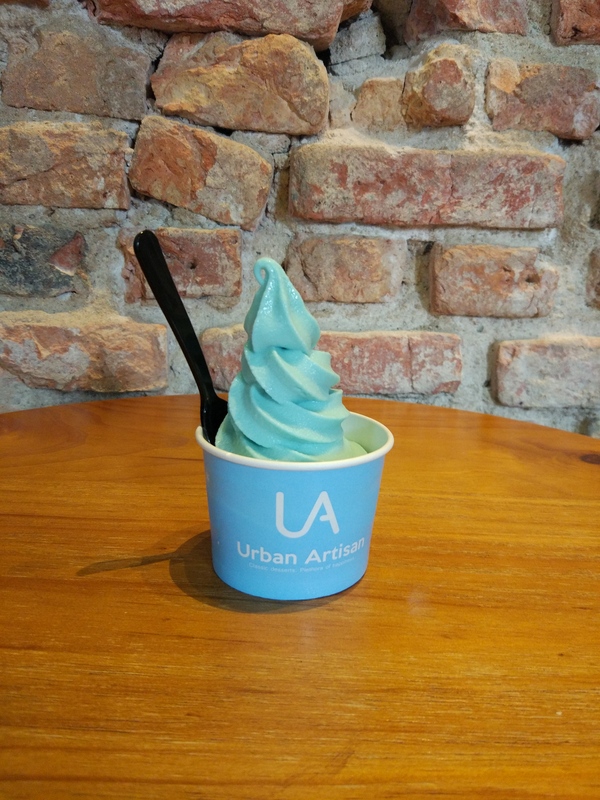 Today’s black sesame and green tea soft serve is from urban artisan at Nagore square. Price RM12.90. 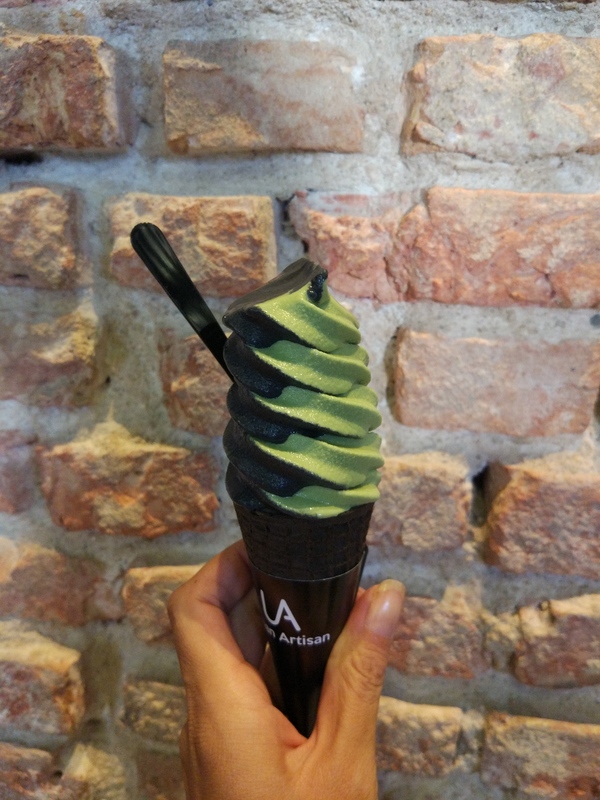 The green tea had a really rich texture but we found the black sesame a bit icy. The cone was fresh and crispy. The sea salt caramel was creamy but we couldn’t taste the sea salt and the colour was a bit strange for us. I guess it appeals to a younger demographic. The cup base is filled with cornflakes and the soft serve sit on top. We were told that the flavours change every week. 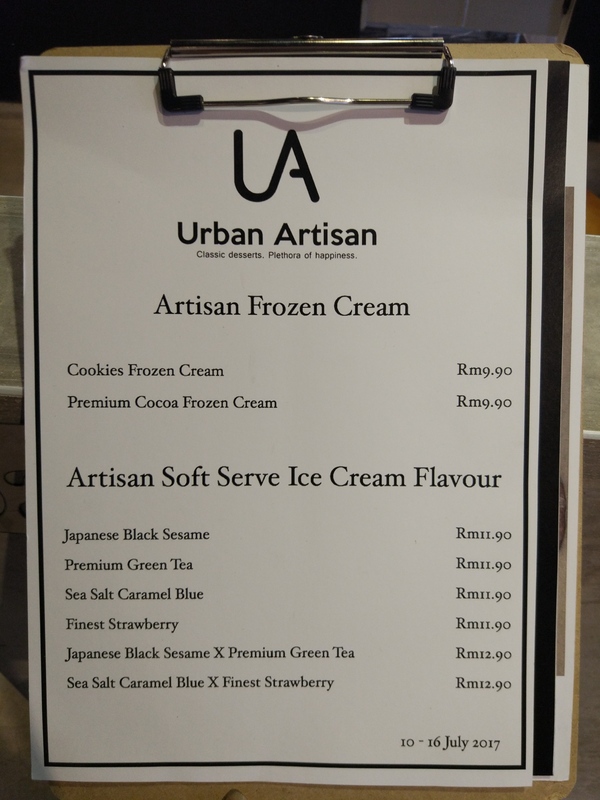 The machines can churn out 4 flavours each week and a twist which is a combination of 2 flavours. Overall we were happy with the soft serve. The staff was friendly and entertained all our questions. Next Post Top outdoor activities in Penang. Nature trails: Monkey beach review.